A family member holds vigil over a dying relative at St. Francis Care Center AIDS hospice , while the body of a recently deceased woman waits in the adjacent bed for storage in the morgue. St. Francis Care Center is a hospice for people infected with HIV/AIDS. It has an adult wing and a childrens wing. The adult wing holds 50 patients, mostly terminal cases. Approximately 35 people die every month. 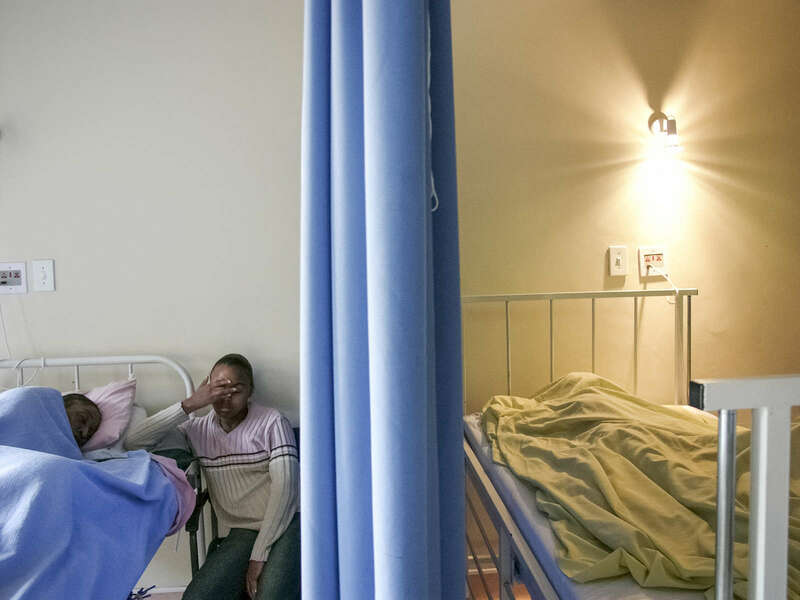 The childrens wing has 28 AIDS orphans, 26 of whom are HIV+, but undergoing anti-retroviral treatment.